This is basically a Simulator of the Cisco ® router IOS, where a limited set of router commands are supported. You can work with those supported commands in a similar manner as that of the actual router. However, please note that this is a learning tool and it has limitations. 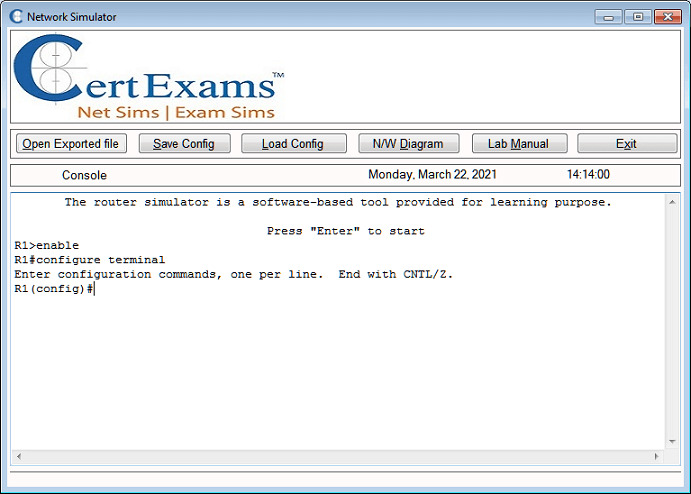 To know the detailed Functionality of above screen, refer to the Router Simulator Navigation in the contents.